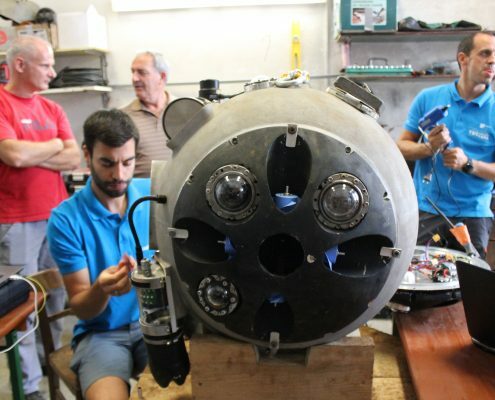 The second field trials with the robotic technology developed by the UNEXMIN project are over. 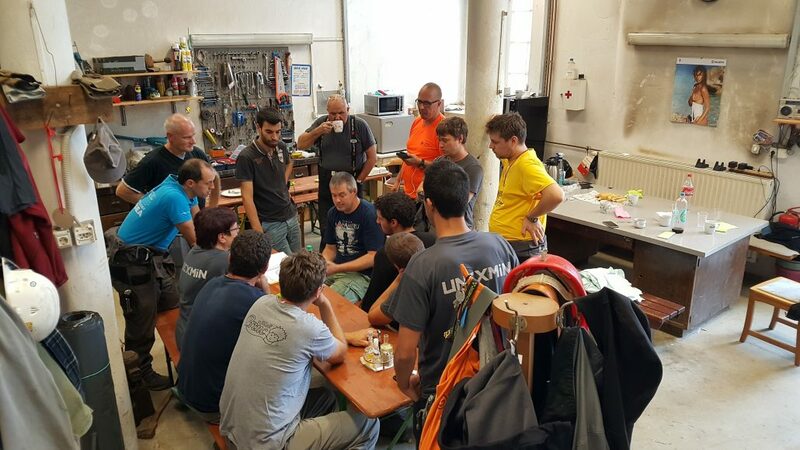 During two weeks the UNEXMIN teams have been in Idrija, Slovenia, at the Idrija mercury mine to test the capabilities of the UX-1 robot and to obtain data from the flooded mine that would be impossible to get otherwise. Tatjana Dizdarevic, from CUDHg, the public institution owning the mine rights, talks about the experience of having the UX-1 robot surveying the flooded part of Idrija mine and what benefits does it bring to the future of the Idrija mercury mine, an UNESCO World Heritage site. 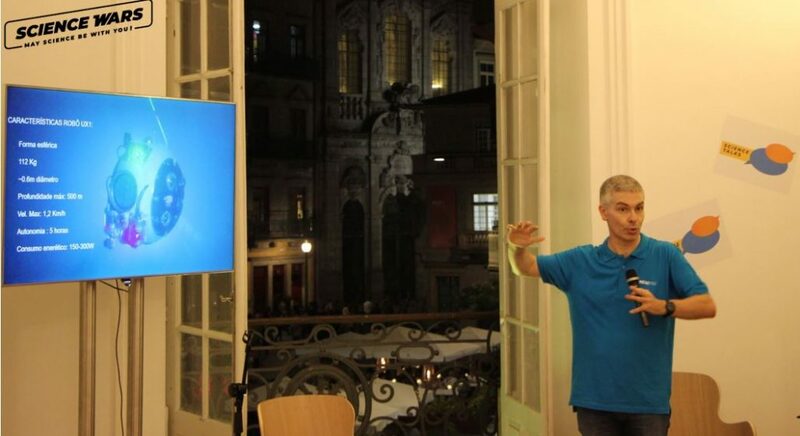 Luís Lopes, LPRC: Do you feel the trial at Idrija was a success? Why? Tatjana Dizdarevic: The Idrija trials were a success. 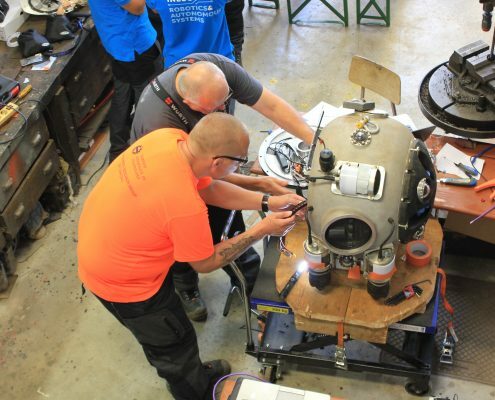 The robot was tested in very difficult conditions; the transport from the surface to the water level in the shaft was a challenge for the Idrija miner’s crew, but the robot also did an autonomous dive for the first time during these trials. 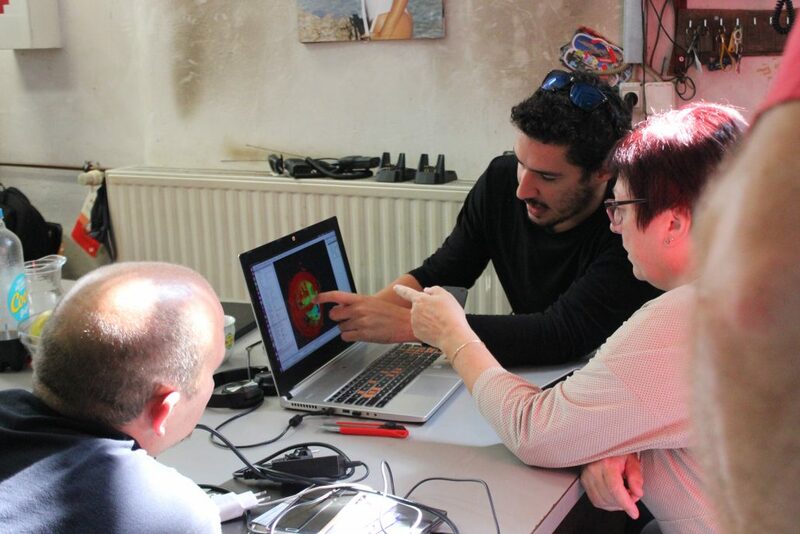 The multispectral camera for recognizing minerals was successfully tested in the shaft’s water. 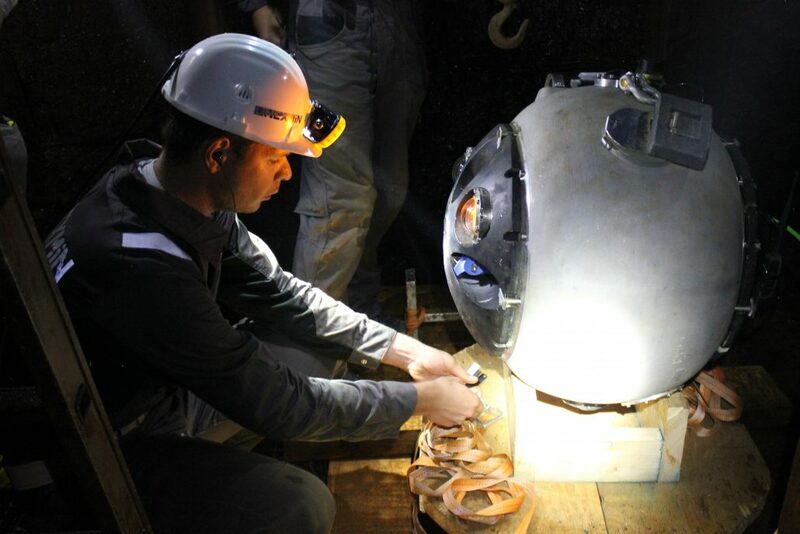 As for navigation within the flooded mine, the UX-1a robot dived to the maximum depth of 26,2m of the main shaft. Descent into depth lasted for 1,5 hours and rise from the depth lasted 0,30 hour. The most challenging at that exercise was the possibility of stacking the robot to the submerged objects (wires, columns, etc.). LL: What data did you get and how will it be used? 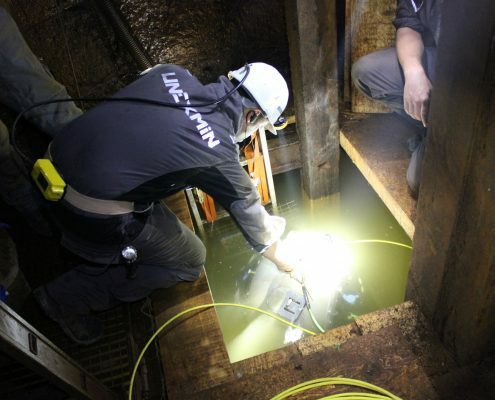 TD: A three-dimensional model of the flooded main Borba shaft in a depth of 190m and another one from the open gallery on the 9th level in a depth of 220m with the obstacles found in it. The material will be used for presentation of a kind of cultural heritage that could not ever be seen by human again, if the UNEXMIN technology did not exist. 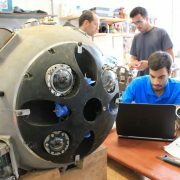 “The most challenging at that exercise was the possibility of stacking the robot to the submerged objects (wires, columns, etc.). LL: Are you happy with the results? TD: At CUDHg Idrija we are very happy with the results! Everythin went as planned. 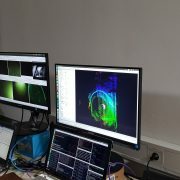 It is now time for the UNEXMIN team to process the data from the dives and wait until we get the final material that we can share with the public that visits the mine. LL: Were you positively/negatively surprised with something in particular? 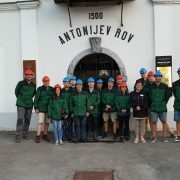 TD: Only positively: The work within the project group and the Idrija miners was very positive and friendly. The whole group worked as one. 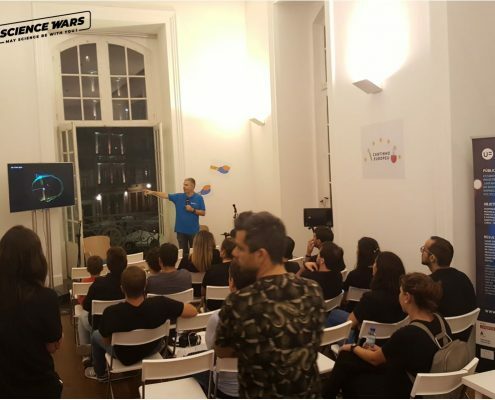 There were no negative effects and happenings during the transport of the robot from the surface to the IX level and vice versa. LL: What do you think was the most positive point/achievement? 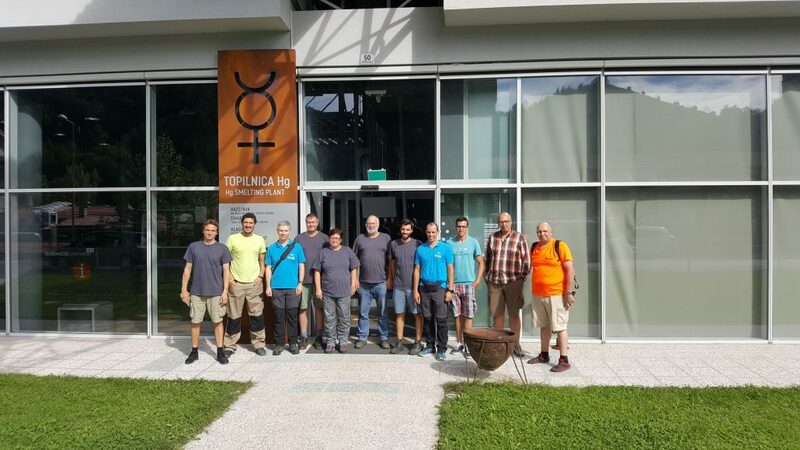 TD: The autonomous dive for the first time of the project! 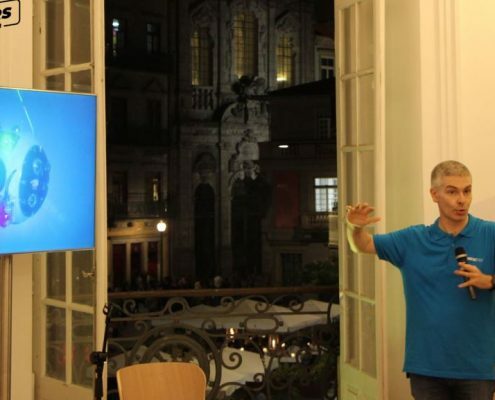 Do you have any specific questions you would like to have answered? Just write them in the comments! 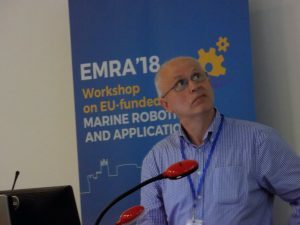 Back in June, the UNEXMIN project was presented at EMRA 18, the EU-funded Marine Robotics and Applications workshop to a specific group of stakeholders, important for the UNEXMIN project development: the robotics community. 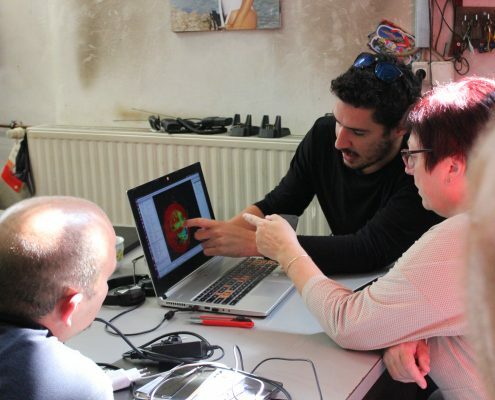 UNEXMIN receives an heavy influence from state-of-the-art robotics and benefits from discussing the project with experts. 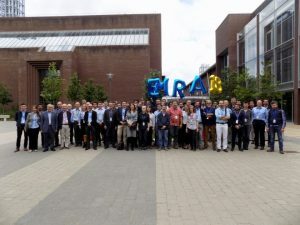 EMRA 2018 took place in Limerick, Ireland, during the 12 and 13 of June 2018. 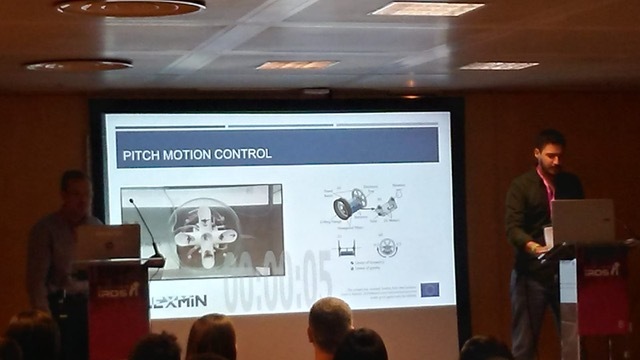 The UNEXMIN project was showcased to the audience on the 12th with a talk that focussed on the overall development of the project, with special focus on the robotics part, and on the field trials. 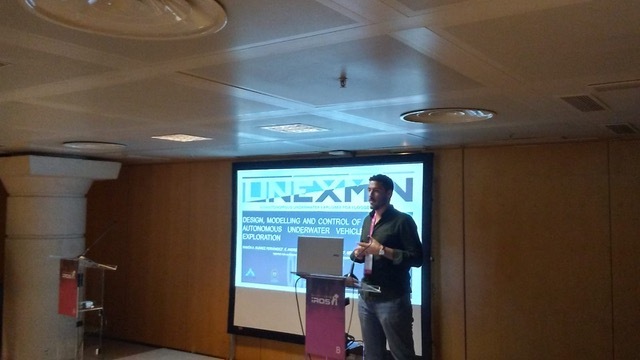 The presentation was entitled “UNEXMIN: Underwater Explorer for Flooded Mines”. 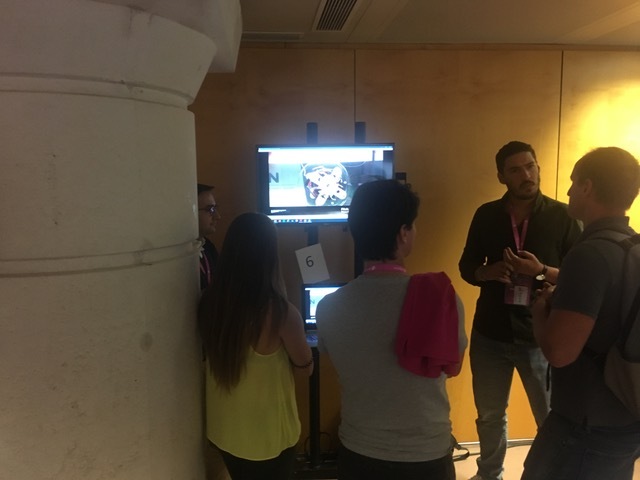 Partner RCI was responsible to attend and share the UNEXMIN project with the attendees. 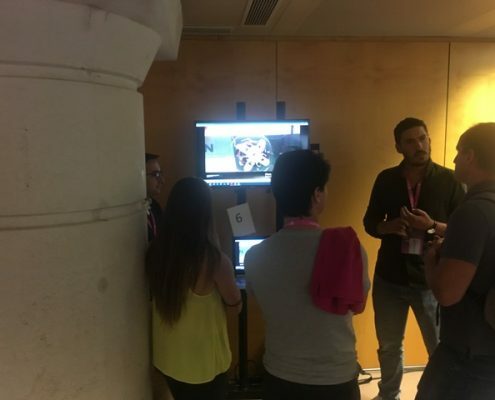 Photo taken from EMRA 2018 website. 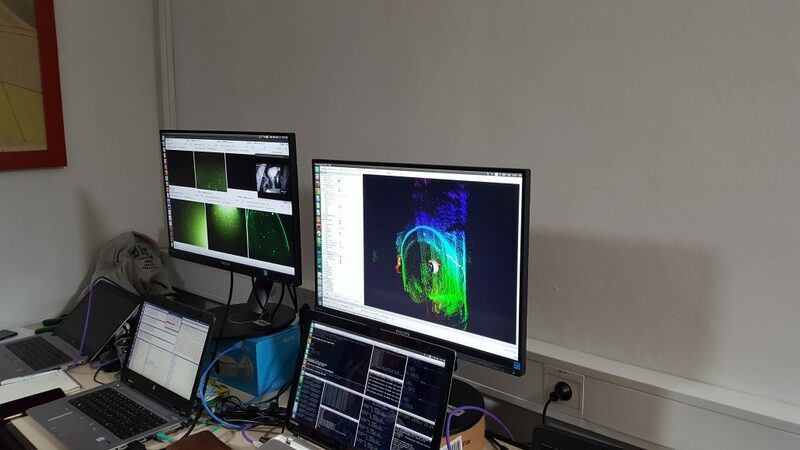 The UNEXMIN hopes to be back next year for more fruitful discussions and to present more data on the trials with the innovative technology provided by the multi-robotic platform. 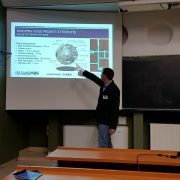 From Portugal to Hungary, to other parts of the European territory, the UNEXMIN project was shown during the most recent European Researchers’ Night. 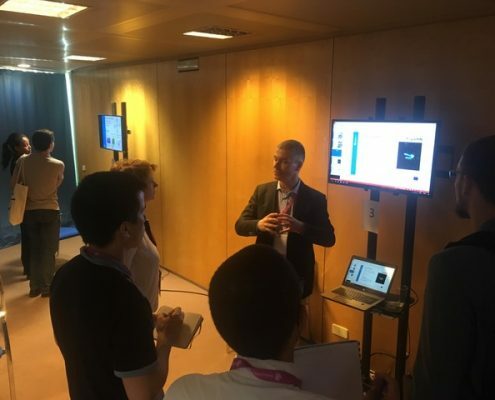 This event has the objective of bringing the research that is being created throughout Europe to the general public and the UNEXMIN project could not miss the opportunity. 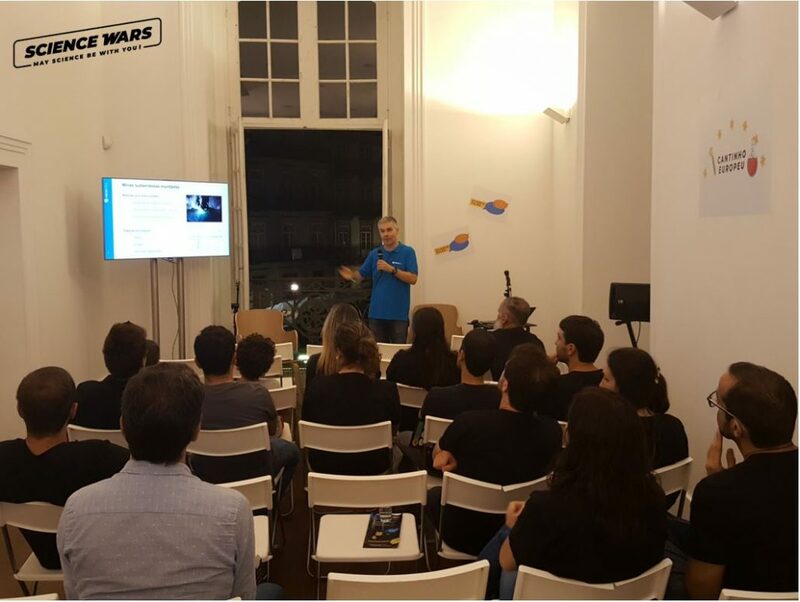 On the 28th of September – the last Friday of September in which the European Researchers’ Night takes place – the UNEXMIN project was showcased to the communities of Porto, Portugal, and Miskolc, Hungary. 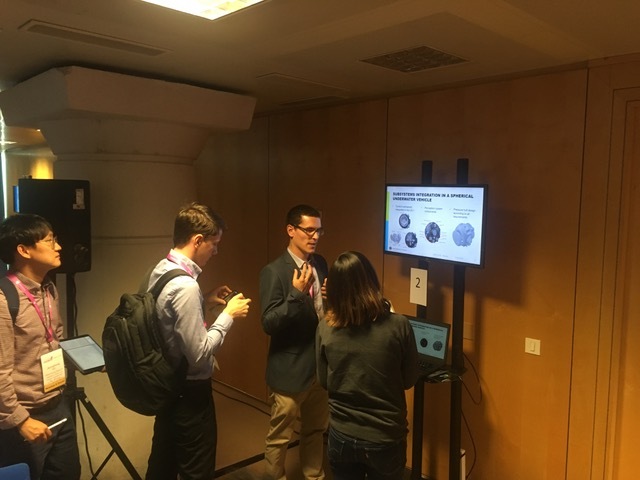 The local partners INESC TEC and University of Miskolc were responsible to make the bridge between the project and the general public in an accessible way, in an event that they classified as important to “share our research with the public”. 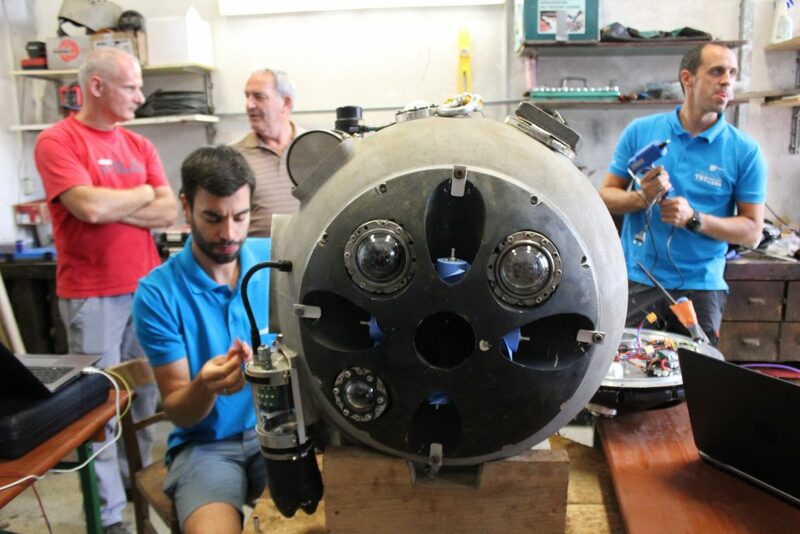 The dissemination and communication activities of the UNEXMIN project are growing around Europe (and even worldwide) as the project gets into the last part of its development and the trials with the UX-1 robot are on the way. 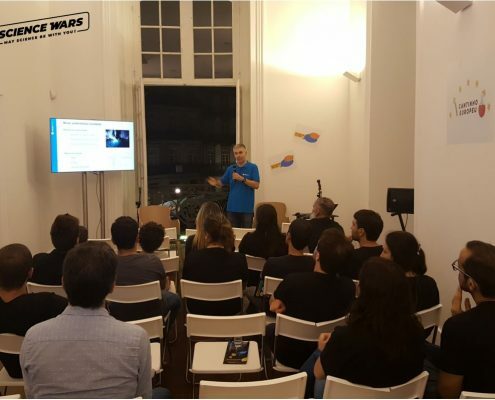 The UNEXMIN project hopes to be present again on next year’s edition of the European Researchers’ Night, and who knows, maybe with a robot to showcase the innovative UNEXMIN technology! 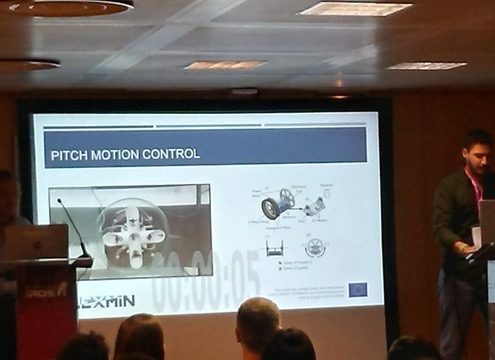 The UNEXMIN project team would like to thank the organizers of the events of the European Researchers’ Night. 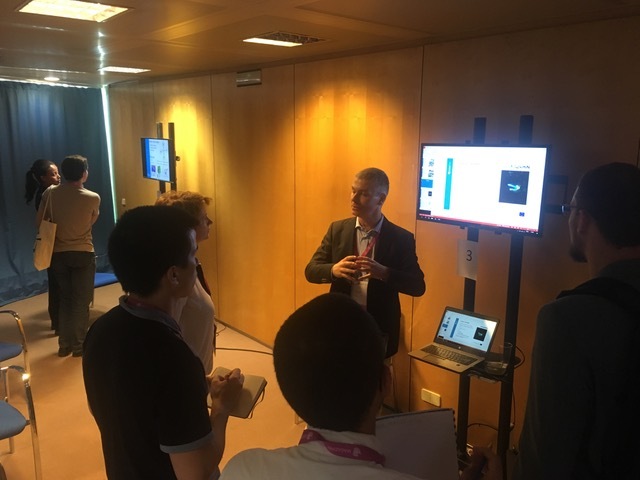 IROS 2018, the International Conference on Intelligent Robots and Systems – one of the major robotics conferences in the world -, is happening this week in Madrid, Spain. 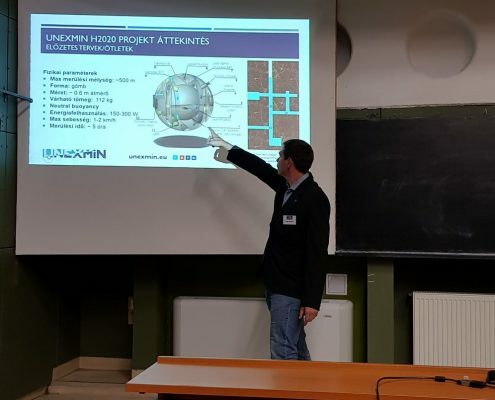 The UNEXMIN project was part of it with some presentations and talks about the project. 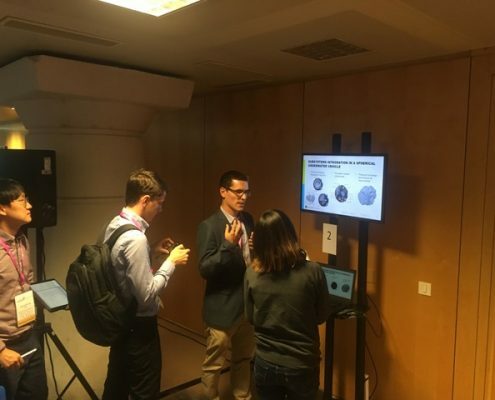 From the UNEXMIN project, robotics developer teams (UPM, INESC TEC and TUT) were present in the IROS 2018 conference to showcase their work on the UNEXMIN project, specifically in the development of the UX-1 robot. Focus was on the autonomy, control and movement aspects of the technology. 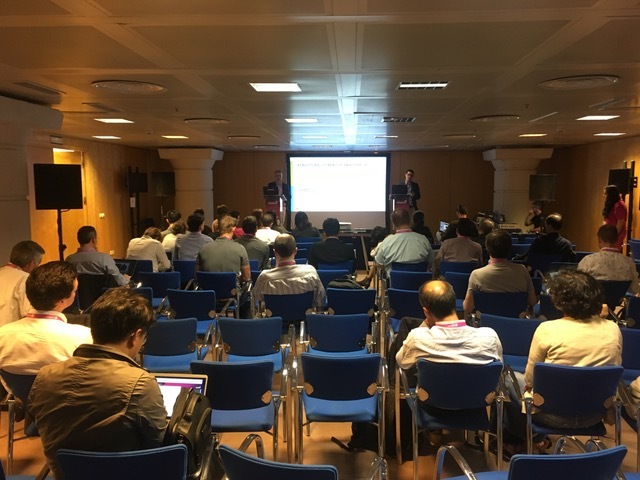 These UNEXMIN-related presentations, talks and discussions were part of a special session entitled “Raw Materials, Tough Robots”, that aimed at bringing together discussions on the use and development of robotics designed for raw materials exploration and extraction. 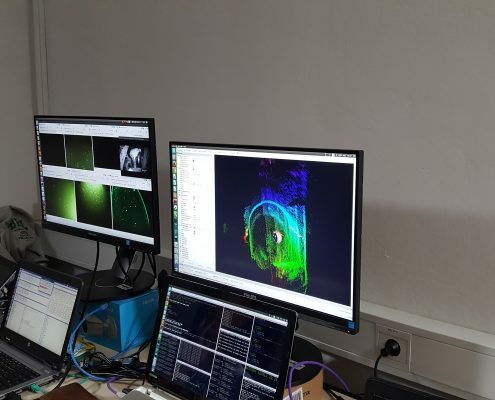 The UNEXMIN project is currently developing a multi-platform robotic system, after having produced and tested the capabilities of the first UX-1 robot in two flooded mine sites in Europe. 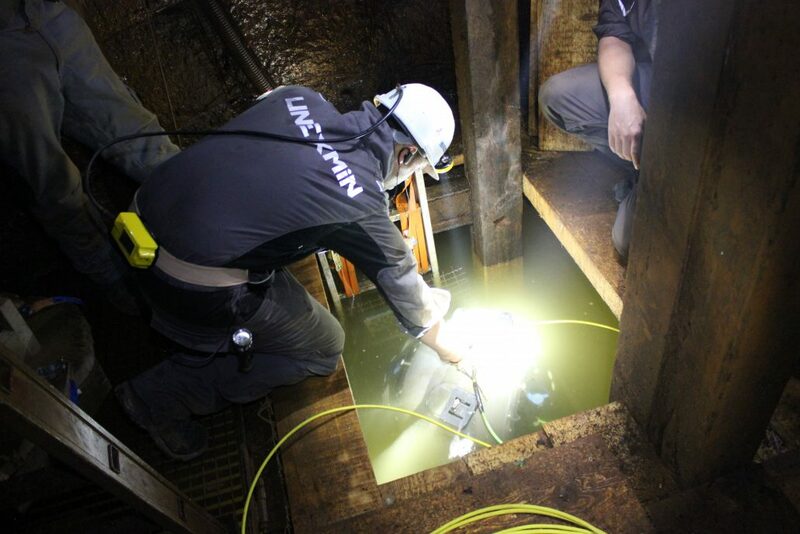 Last week meant the last half of the second UNEXMIN field trials, following on the work done in the first week. 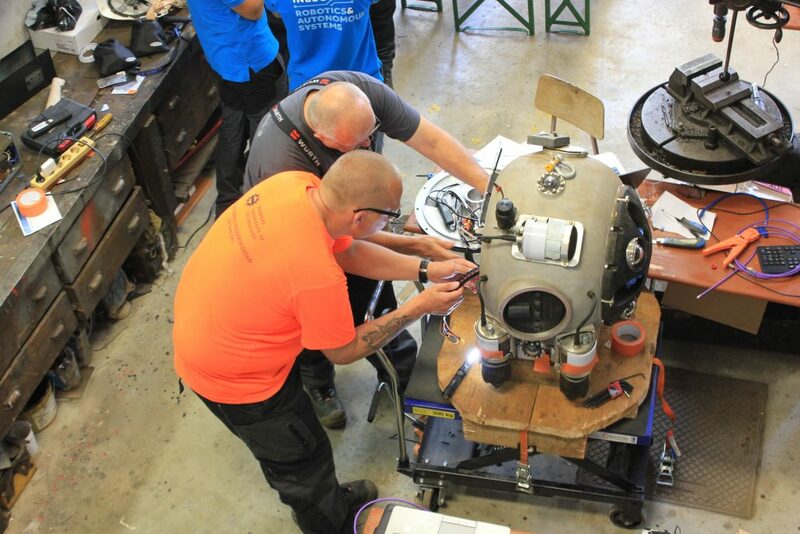 During the last days of trials at the Idrija Mercury Mine, an UNESCO’s Heritage Site, the UNEXMIN technical teams, had a full-time job with the launching, maintenance and monitoring of the UX-1 robot for and during its dives at the Idrija’s flooded shafts and tunnels. 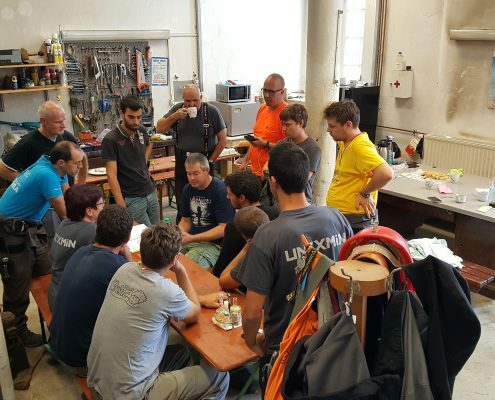 The work began with UX-1A diving down the entire available part of the flooded shaft in Idrija, around 26-27m water depth reaching the entrance of the level IX tunnel. This navigation was only possible due to a collapsed wooden roof in the shaft, at around 22-23m depth – a UX-1A’s own discovery! At the bottom of the shaft, which is blocked by a metal net, the collapsed wooden debris were recorded by the robot’s bottom camera. 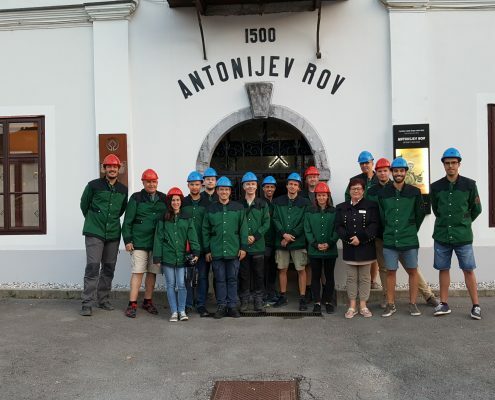 These data provided useful input to the team and especially to CUDHg, who represents the mine ownership, and can now better interpret the Idrija mine. 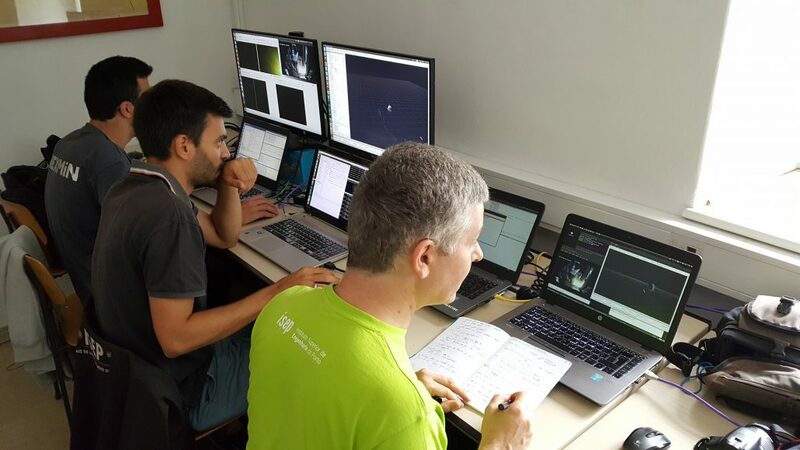 On Tuesday and Wednesday the team tested different functions of the robot, such as pitching the UX-1A completely vertical nose down and up and navigating among the obstacles (wooden debris, metal plates) in the very confined space of the shaft; the multispectral tests also continued. 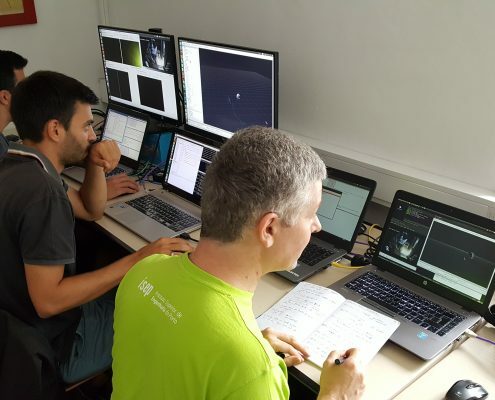 On Thursday three important dives were performed (two down the entire available shaft), where the multibeam sonar’s different modes (profiling and imaging) and the capabilities of the SLS system were positively tested, and the first fully autonomous mission (down to 2m depth) performed successfully. 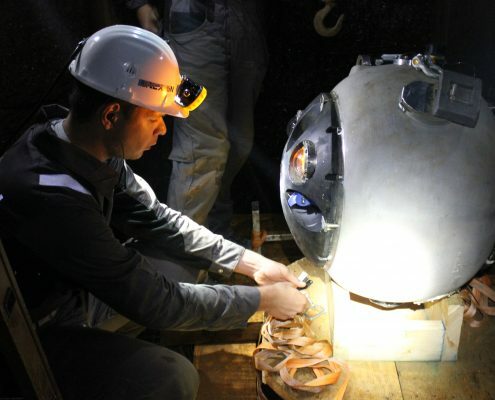 After these welcoming dives, the robot and the remaining equipment were removed from the mine. During Friday morning the UX-1A robot and its supplements were safely packed for transport, as the robot is now on its way to Porto (home to INESC-TEC), in Portugal, where further development of the technology will take part. The entire two weeks of testing went fine without a single accident, with no human harm or damage to the equipment or the mine due to careful planning and execution. 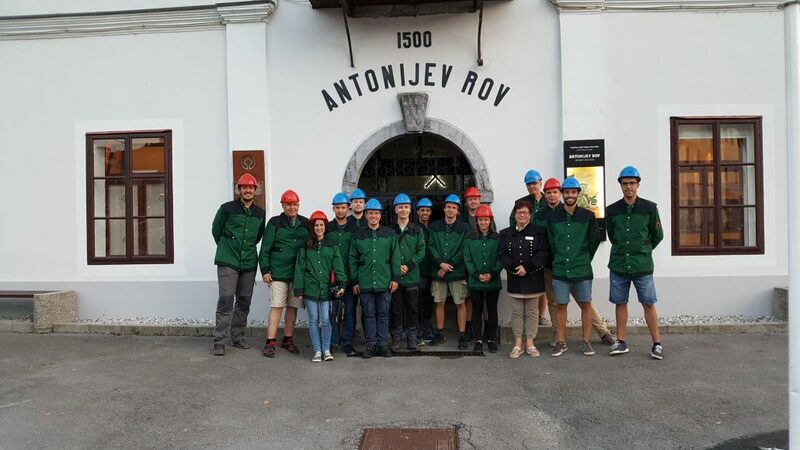 Special thanks to the miners of Idrija who pre-prepared the site for the UNEXMIN team and always gave a hand and warming hospitality during the full time of the Idrija mission.